Meaningful coincidences occur when the creative fusion of two artists come together in the studio. 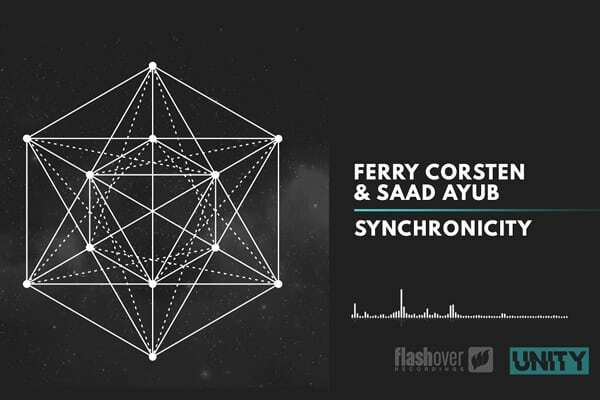 Such an occurrence is what led to the latest release ‘Synchronicity’ from the UNITY project initiated by the Dutch electronic music pioneer Ferry Corsten. Drafting in the exquisite producer abilities of Saad Ayub, a Bangladeshi native rooted in Toronto, Ferry has earmarked one of progressive trance’s most underrated talented for the fifth release from the global charity initiative. Titled ‘Synchronicity’, the duo have long shared a passion for the majestic side of the progressive sound. Unveiling a collaboration that is packing in atmosphere, ‘Synchronicity’s true delivery comes from its exuberant melodic tone. Filled with a pulsating burst of pace and fused together by a soaring breakdown that heightens the entire composition to attention grabbing levels; this collaboration will have the entire dancefloor wanting more! Halfway into the year and having so far featured collaborators DIM3NSION, Jordan Suckley and Paul Oakenfold, alongside Ferry Corsten, the UNITY project has inspired creativity amongst a community that has been able to harvest that goodwill and use it for a greater good by helping to fund educational programmes giving young adults an opportunity to find their own pathway within the world of music. By partnering with the VH1’s Save The Music Foundation, Ferry Corsten, UNITY and the involved collaborators, have been to add further support to the organization’s Music Tech Grant programme.